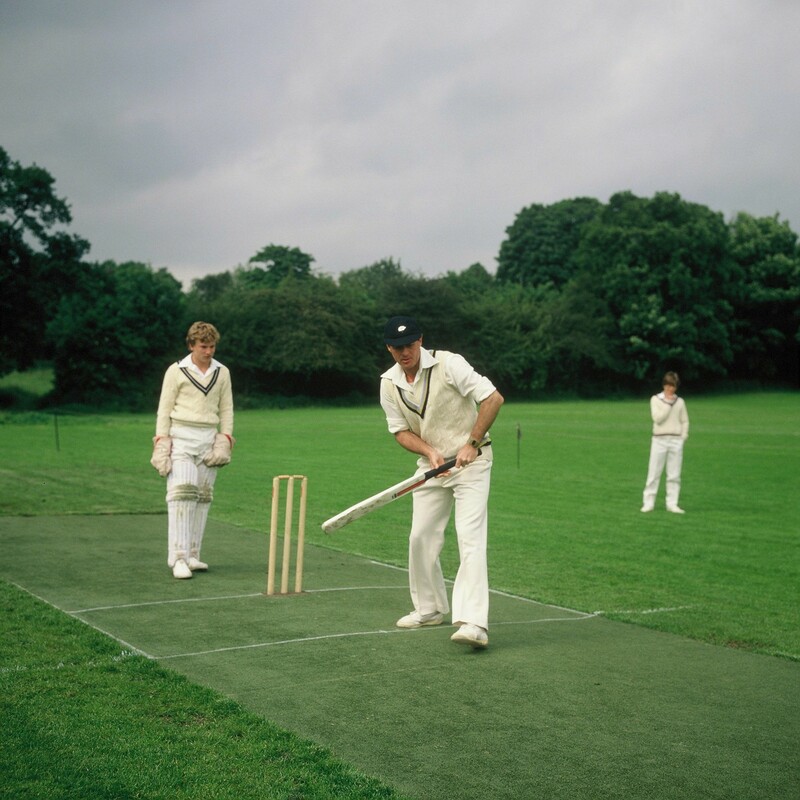 The ClubTurf brand was set up in 1978 when Keith McGuinness saw a niche in the UK for a top quality pitch upon which cricket could be played and coached. Although artificial cricket pitches were not an entirely new concept in Britain, previous methods had simply involved a mat being placed on top of concrete and the players taking it from there, knowing full well that the game bared zero resemblance to the real thing. However, Keith designed a pitch base that would respond and play like a natural cricket pitch, a revolutionary move and one from which ClubTurf are still reaping the rewards. 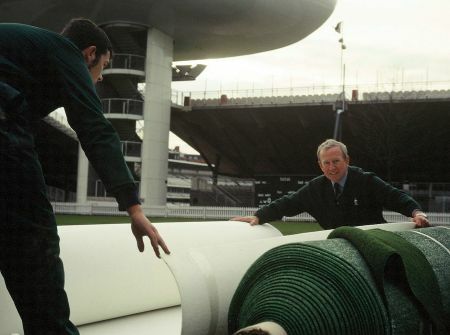 “I saw the need to construct a pitch base that could replicate the changeable playing characteristics of a natural pitch. 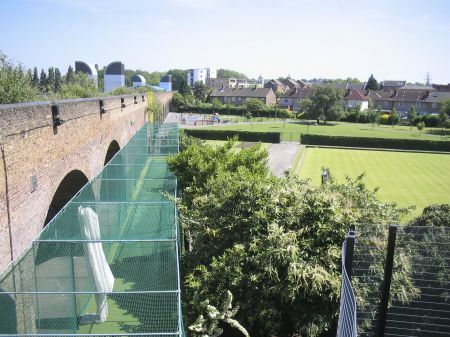 I thought that if this was then surfaced with a high quality woven artificial grass, the pitch could be used constantly, with only little – but important – maintenance.” Keith said. 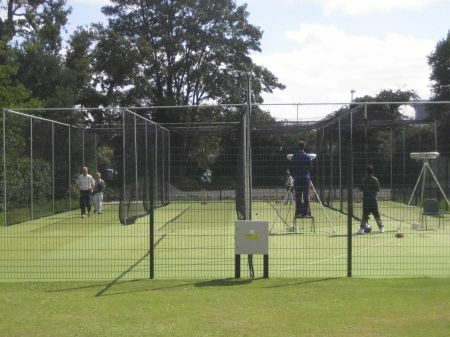 “Despite also installing much larger pitches such as the ClubTurf sports field at Bisham Abbey National Sports Centre I always recognised that cricket would be the core business, the market with the greatest potential and, indeed, the sector in which we could provide the greatest and most-needed service,” he added. Although Keith has taken a back seat in the running of the company today, his base idea is still used and whilst to the untrained eye installing an artificial pitch may seem to be simply a case of nailing a plastic mat on top of a heavily rolled surface, his method involves much more. Firstly an excavator is used to dig out a 125mm deep channel which is then filled with 0 to 14mm sized angular limestone material. This is then rolled before a further layer of limestone dust is placed on top, which is again levelled meticulously and then rolled twice to form a compact surface. On top of this base, a specially designed Wilton woven carpet is laid and fixed in place with 100mm galvanised steel nails. The pitch is then technically ready for use although is it usually best if the pitch is left for a short while to allow it to settle down. This method has been used at over 5,500 sites across the UK, which is an incredible logistical achievement, especially when you consider the appalling weather that can paralyse the operation like that seen this summer. ClubTurf have contingencies in place for the likes of 2012 and operations and logistics manager Robert Chisholm explains the often nightmarish task of trying to keep installations on schedule despite the myriad of problems that can arise. “2012 has been absolutely unprecedented when you consider how much rain fell during the summer months. 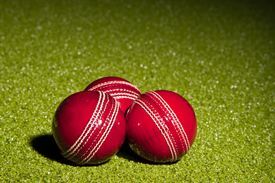 It is our busiest period because that’s when the weather is best and ground conditions are hard enough for us to work without heavy plant machinery churning up precious cricket squares or outfield. “It was a case of us working together, keeping customers informed and hoping for some blue skies! I think we coped extremely well and the company learnt many lessons from the problems we encountered,” he said. However, it is not just the number of pitches installed that indicate the company’s prowess and standing. 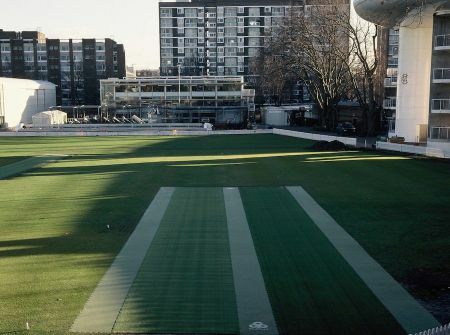 ClubTurf have designed and installed wickets at Lords, The Kensington Oval, Barbados, the Millennium Stadium,Cardiff and they have also transported the operation to Mauritius, Malaysia, USA and Spain to name justa few. ClubTurf Being used at the Millenium stadium for an England Versus Rest of world Match. “It’s always nice to receive calls from other parts of the world asking for our assistance. I think it’s an endorsement of our work and so to be trusted internationally is a great honour. A job overseas does bring its own issues such as trying to coordinate the shipping of equipment and materials but it is a good headache to have,” Rob added. 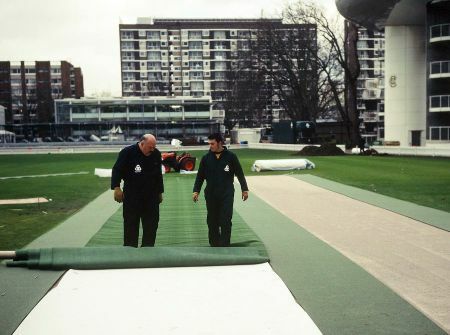 There are many important milestones in the development of ClubTurf but none are more important than the recruitment of former England Test bowler Derek Underwood in 1988. Derek was the director of sales until 2012 when he took a back seat in a consultancy role he visited hundreds of clubs every year outlining and advising them on what facilities will best suit their individual needs. Derek is widely regarded as the greatest left arm spinner England has ever produced – how has his past assisted him in his old and new role? 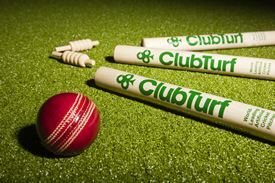 His expertise is one of the company’s greatest assets as is the fact that ClubTurf don’t sub-contract their work out. 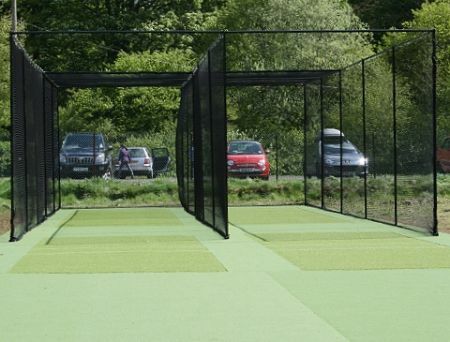 They have their own dedicated installation teams on the road 52 weeks a year concentrating on nothing but cricket. Tony Pigott has taken over the role of Sales Director in 2012 and has used the vast experience and contacts that Derek has built up over 24 years. "There is no better support structure than Derek Underwood"
Tony played first class cricket for Sussex, Surrey and Wellington and test cricket for England in a career spanning over 20 years. Upon retiring from first class cricket Tony took over as 2nd XI coach at Surrey CCC and in 1997 he moved back to Sussex CCC in a move upstairs as the Chief Executive. 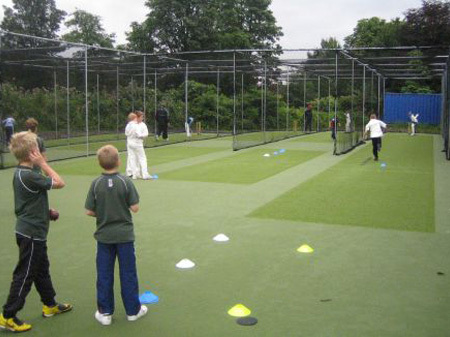 Tony has vast experience in managing sports clubs and sport events and since 2005 has worked for the ECB as a Pitch Inspector, Pitch Liaison Officer, Referee and Umpire Observer. "I am interested in increasing ClubTurf's market share in the UK and Europe and with my experience and the team around me we are perfectly placed to achieve our goals." Derek’s brother Keith is the managing director of the firm and Keith’s son Kevin is also involved as the operations director. Kevin believes the company can continue to grow and expand its operations and he is looking to embrace the globalisation and technological advancements of the age to further ClubTurf’s image and sales. “We are looking to take out product to more countries around the world and to develop our international markets. “We need to work really hard on developing the website. I think that is a key factor these days because that’s where people look for information. Although ClubTurf is experiencing an all-time high in terms of sales they also believe the legacy of their work is as important as their profit margins.